There are many types of brushless motor controllers. A brushless motor controller is connected to a power source and control circuitry in the form of analog or digital input signals. The controller must know the motor's position in order to know how to move it. To find the position, some motor controllers are classified as Hall sensor controllers, employing the Hall Effect in the controlling process. Other types of motor controllers exist however. Some measure the back EMF in the undriven coils to infer the rotor position, eliminating the need for separate Hall Effect sensors. A variable resistor can also be used to determine the motor's position. See Electronics & Controllers. Hall sensor controllers use Hall Effect sensors as a transducer that varies its output voltage in response to changes in magnetic field density. Hall sensors are used for a variety of uses such as proximity switching, positioning, speed detection, and other applications that are important in the area of motor control. The sensor in Hall sensor controllers acts as an analog transducer. With a known magnetic field, its distance from the Hall plate can be determined. Using groups of sensors, the relative position of the magnet can be deduced. Island Components offers both brushless motor controllers as well as Hall sensor controllers. Contact us or fill out our RFQ form to find out more. 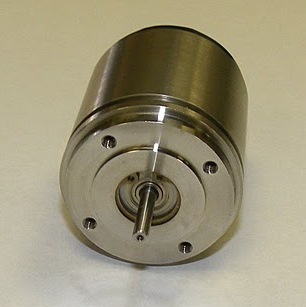 You can also inquire about our other products, including induction motors and universal motors. See Electronics & Controllers.